Our classes for March will be held in conjunction with the Hostlers Train show in Ogden. This is only for March then we are back to The Printed Garden. Please sign up as usual on signupgenius.com – The location is the Ogden Union Station 2501 Wall Avenue Ogden, UT 84401. We will meet at the same time 10:30 am. We will be on the stage. When you enter, walk past the car museum then make a right into the main hall. The stage is straight ahead. We would like to demonstrate your talents to all those attending – have them watch as we work. 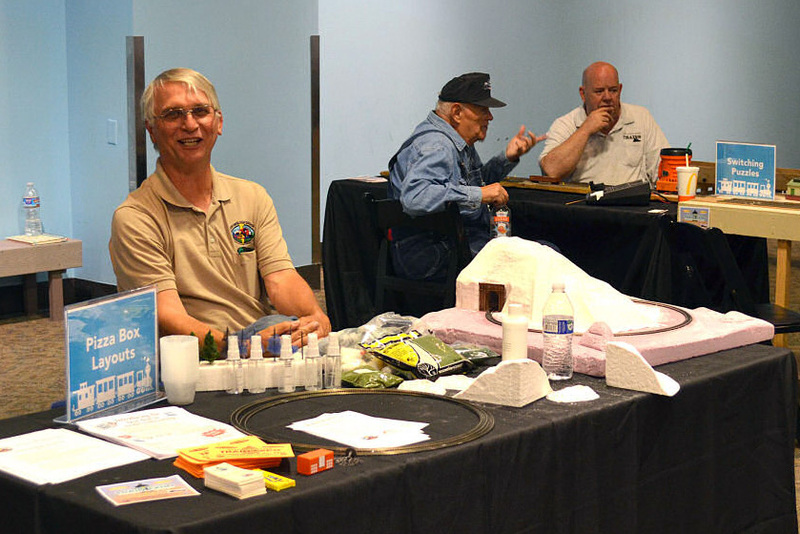 We are working to build interest in model railroading with those who attend. Our classes will be the same length of time. Bring your layouts with you. Take them home when your class is over. Children 12 and under are free. Adults are $7. I will try to get free passes for the adults who sign up with signupgenius. This would be one pass per family if I can get them. If any child is over 12, we need to know so we can get them passes. We are going to give a train car for every new family or child you bring to class who is new to our program. We hope to include new modelers who want to get started who are your friends. Please let me know by sharing these links with them and making a note in the comment section who it is that is coming. We had a lot of layouts at the National N Scale Convention! Your Layout will be shown at the Intermountain Train Expo. It does not have to be completed, just worked on. Layout kits handed out at the Train Day show will be at no charge for the first 40. Materials may be donated but there may be some additional costs incurred for specialized layouts. Rolling stock, engines, power packs are not included. This year only – 2018 your layout will be shown at the 26th Annual National N Scale Convention being held in Salt Lake City June 20-24! A waiting list may be necessary. We will get you started as soon as possible. A Parent must be present at each meeting. A copy of your NMRA rail pass receipt submitted to Blaine. Include in the email: Parents name, Address, Phone, Email address & First Name of children participating.